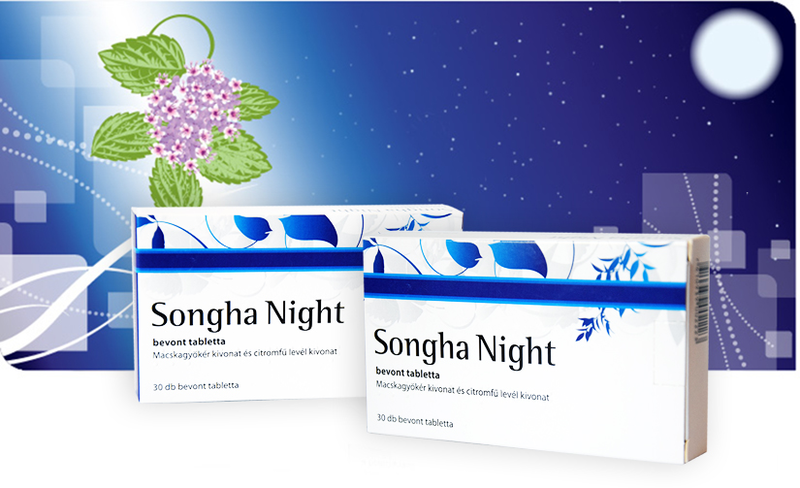 Songha® Night is acombination of valerian and lemon balm that restores sleeping patterns naturally. Valerian is known to have a sedative effect on the central nervous system, and it can balance the thrilled and troubled state while lemon grass has a similarly calming effect. Songha® Night is available in blister packs of 30 sugar coated tablets. 2-3 tablets per day. A single dose is 2-3 tablets taken half an hour or an hour before bedtime. If necessary, a single dose earlier in the evening. Songha® Night can be used as a long term treatment.